By incorporating indoor kitchen designing ideas to an outdoor environment, you can spice things up with a touch of value, versatility, and in the fun in your kitchen. 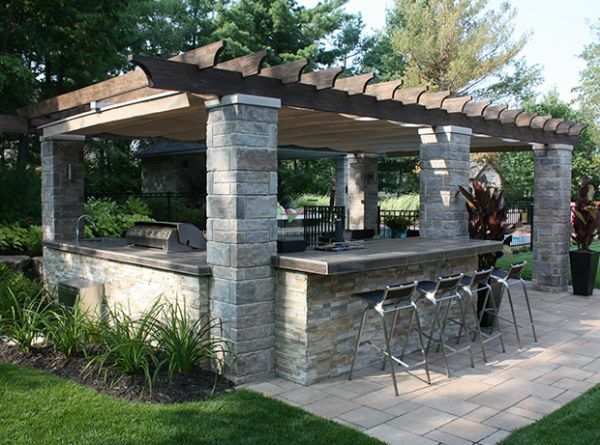 While summers are great for setting up a grill and BBQ in your backyard, this valuable space outside your home, when utilized in an innovative and intelligent way can serve as a year-round outdoor kitchen. 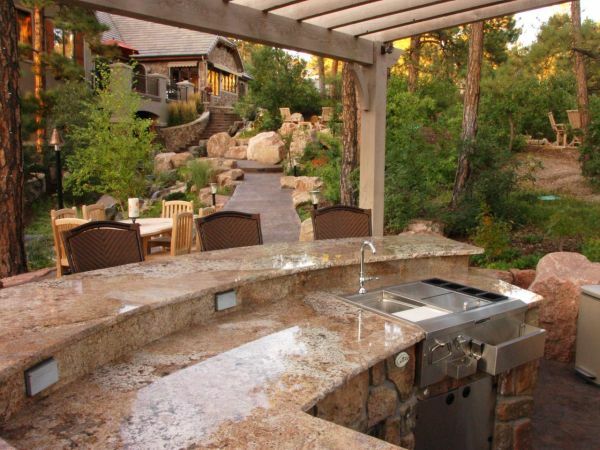 With ample space to allow you to cook, eat and entertain large parties, an outdoor kitchen has certain elements that play a vital role in constructing it. Placement of the outdoor kitchen is a crucial decision that you have to make based on myriad possibilities and variables. An important step is to make sure that the smoke grill is placed facing away from the main entrance to ensure that the smoke does not waft into the house. If you frequently host large parties, it might be best if you place your outdoor kitchen and grill as close to the indoor kitchen as you can. This will make carrying food and other things around much easier for you. 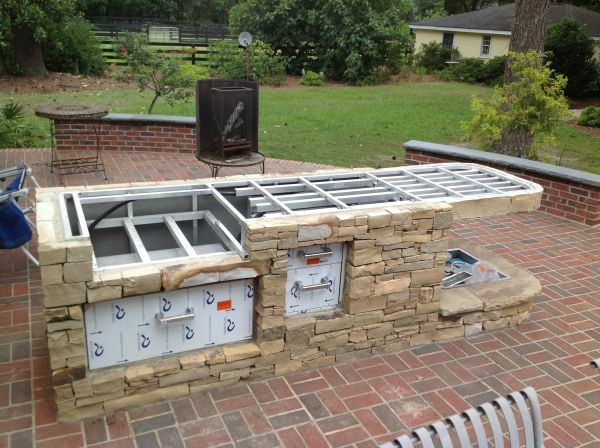 Another element to consider is that the outdoor kitchen must not block the view you have from the inside of your home, such a placement will require thorough planning and professional help so do not hesitate from asking your outdoor kitchen designer for help. 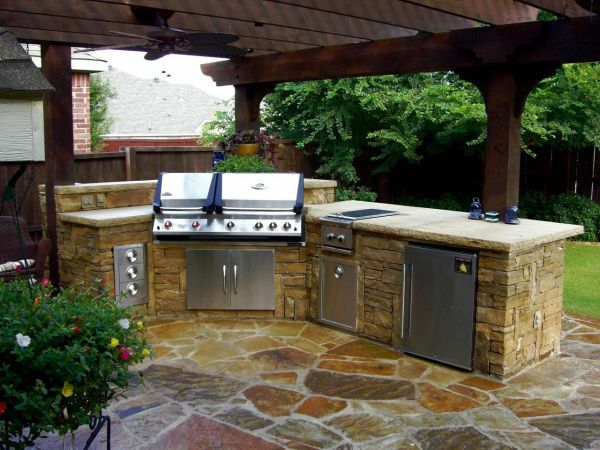 The type and size of appliances that you plan on using in your outdoor kitchen play an important role in the design. Because appliances cannot be placed too close to one another it is wise to expand the kitchen size if space allows. 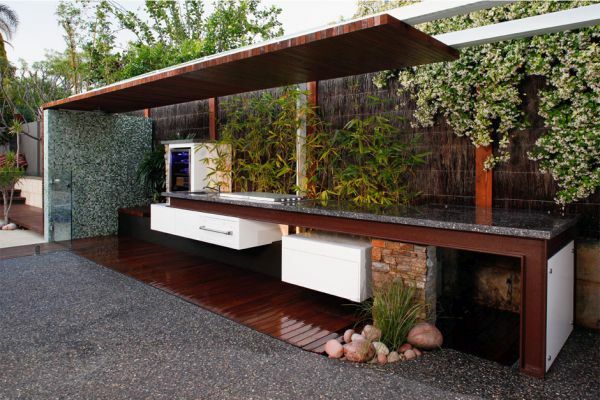 If you plan on hiring caterers or having more than one cook, a great way to make your outdoor kitchen design both functional and flexible is to include various counter heights and work surfaces. When you begin shortlisting materials for your flooring, it is wise to consider the different climatic conditions that the kitchen may be subjected to. Tile or marble flooring poses the threat of becoming slick and slippery when wet. Remember to choose materials that are safe for all age groups and weather conditions and at the same time can endure food spills and grease. A proper flooring not only brings the design to life but also adds durability and safety to your outdoor kitchen. An outdoor kitchen is subject to countless changes in the humidity and temperature levels every single day. The kitchen should be built in material that is durable and to some extent waterproof. Waterproof appliances are a basic necessity for an outdoor kitchen, in this segment stainless steel and ceramic appliances brave all weather conditions and are also easy to maintain. Storage is a key element in every kitchen irrespective of its location. Factors that come into play when considering storage options for an outdoor kitchen are the same as those for choosing appliances. For choosing material for countertops and cabinets begin by shortlisting waterproof and durable materials. A chic look paired with excellent durability to all weather conditions is provided by stone and steel counters and cabinets. Counters built in concrete are resilient, easy to maintain, clean, and classy in appearance. An outdoor kitchen brightens up to its maximum glory in the evening and night hours, which is why choosing a correct setting of lights for striking a balance with the ambiance of the outdoors is necessary. Install task lights above the grill and sink for better light, while the seating area can do with dimmer lights too. 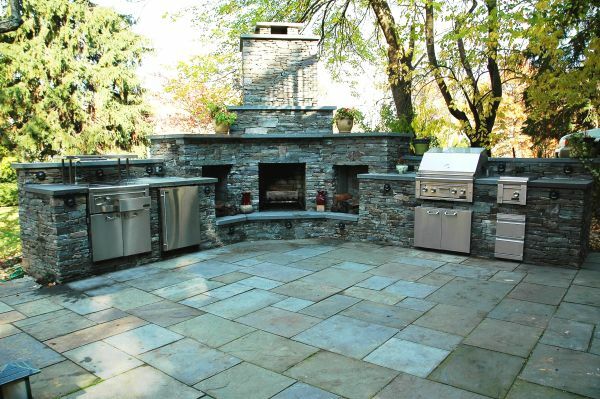 Remember to consider your options for durability and chose more than one circuit to power your outdoor kitchen. Choose to wire with a system that is suitable for all weather conditions. 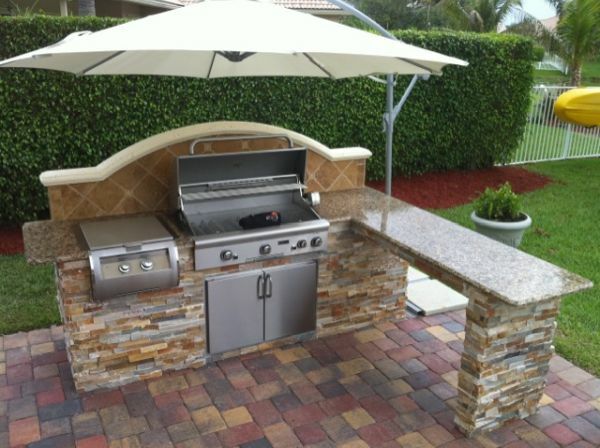 The concept of an outdoor kitchen has seen tremendous growth, and now it is the complete kitchen that is placed outdoors and not just the grill. Once you have made your mind about an outdoor kitchen, cover your budget by making wise decisions on materials and designing options.